This May, people will celebrate Vesak Day. I have no idea whether it’s also in the same date around the world? But here in Indonesia, it will be on the 29th of May. 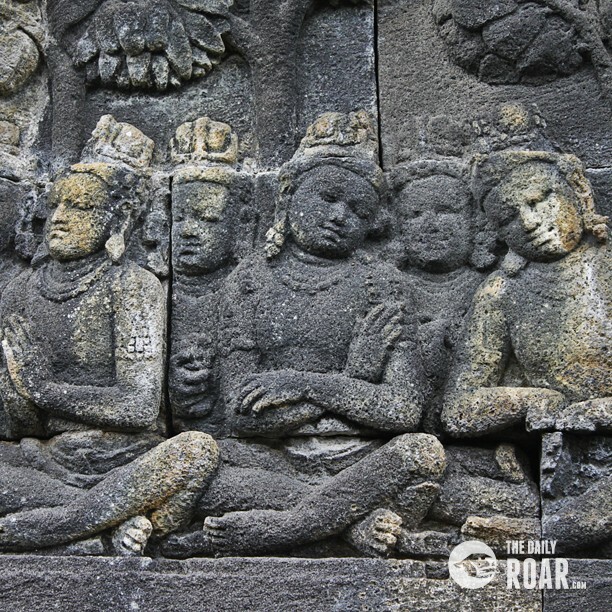 Usually on Vesak Day people will plan a trip to Borobudur. Why? 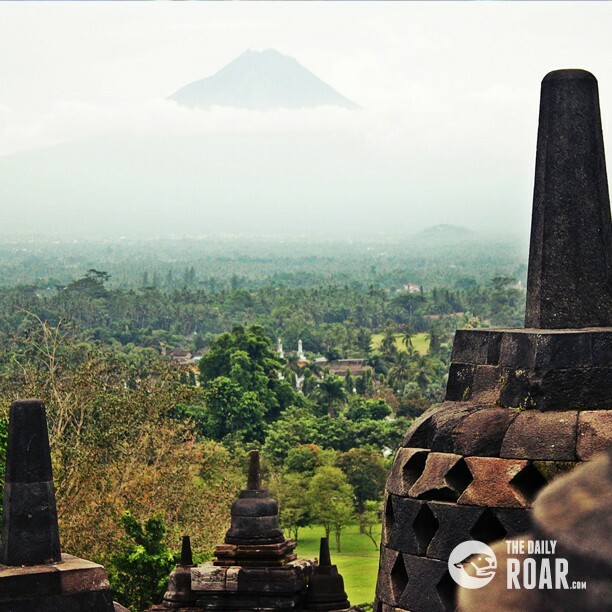 Because the Borobudur temple is one of the famous and the biggest temples in the world for Buddhists. The attraction of celebrating Vesak Day in the Borobudur temple, Magelang, Central Java, it’s not only interesting for Buddhist people. 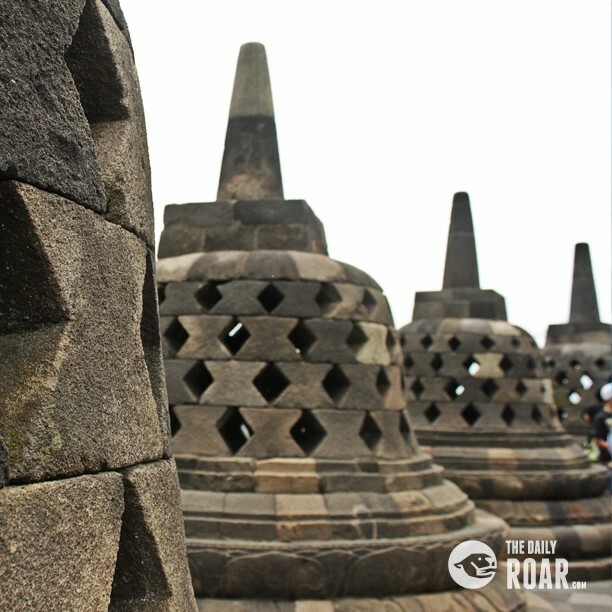 People from all around the world as well as tourist from domestic and international also want to visit Borobudur and see the celebration of Vesak Day. 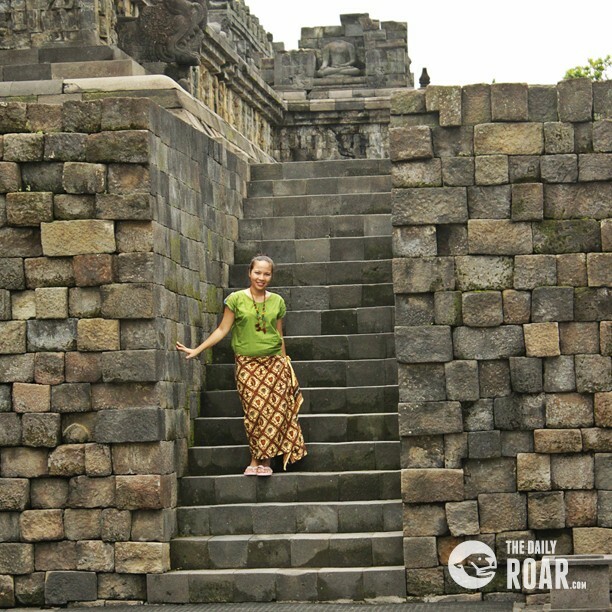 My journey to Borobudur was not on Vesak Day, but it was a shiny beautiful day when I arrived at Borobudur temple. I reached Borobudur with a rental car from Jogjakarta. 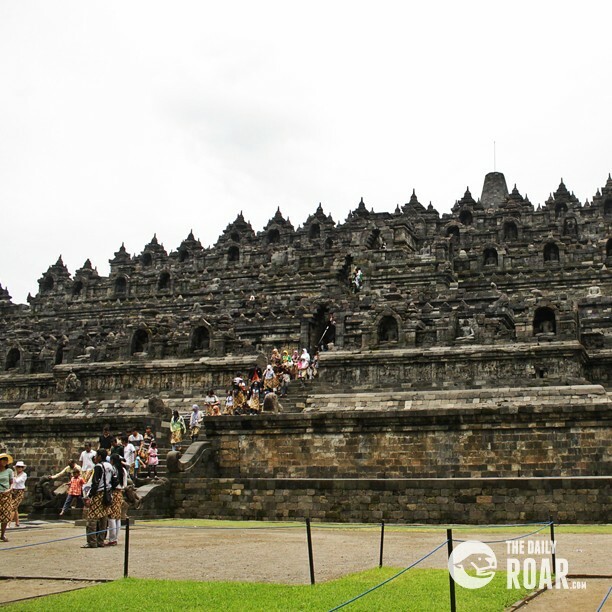 It takes around 1 hour from Jogjakarta city to Borobudur. Some people suggested me to stay in the hotel inside Borobudur area to easier catch the sunrise, but the price is quite expensive for my pocket so I just stayed in Jogjakarta city and went there easily by a car. Actually, if you want to go with the public transportation this is also possible. You can find a bus to go to Magelang from Terminal (Bus Shelter) Giwangan or Terminal Jombor. Arrived in Borobudur, I was welcomed by some souvernir sellers, for me it was quite annoying. This is what I can tell honestly I don’t really like it if a historical place is full with people who insist you to buy something. Better for them to put their stuff in a local store and let people who are interest come and take a look at their shop and buy something. Another strange thing that I found out as a local here is the ticket price discrimination between locals and foreigners. While locals can come inside after pay Rp. 30.000 ($ 3), foreigners need to reach their pocket for $ 20/person. A friend of mine who is western asked me about it and I also feel a bit ashamed with this kind of discrimination. From entering the gate to the temple it is quite far if you are walking. 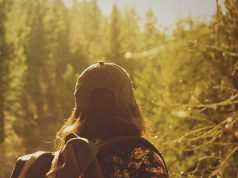 If you feel fit, you can walk and enjoy the view. If not, there are special cars to take people to the temple with a cost of Rp. 5.000/person ( 50 cent). I think with such an expensive ticket price it is normal if they would supply a car facility for us to go inside. A bit weird, I know. 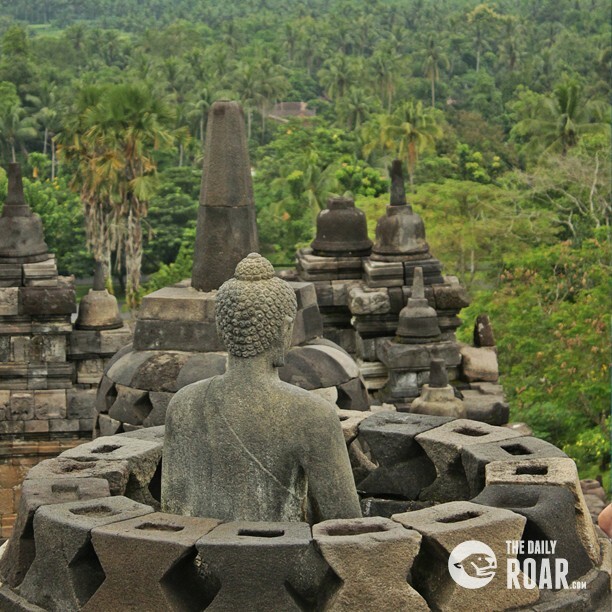 Despite of all the awkward prices, Borobudur temple is really worth to visit while you are in Indonesia or precisely in Central Java. 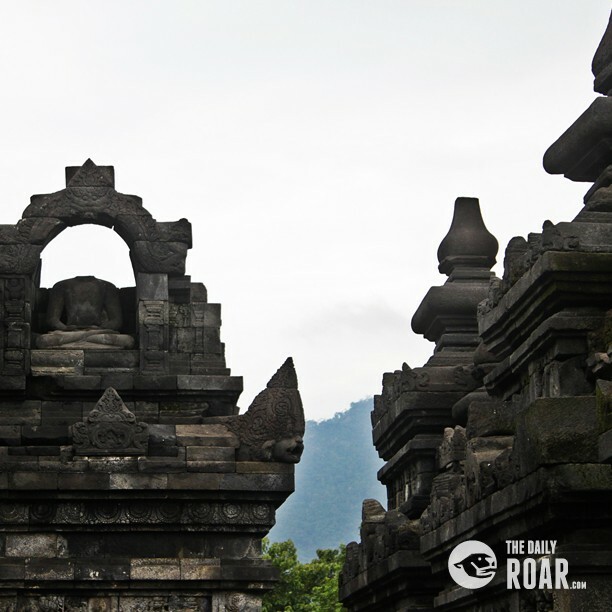 It’s a huge temple that was constructed since 750 AD and in total the size of the temple area is 2.500 m². This building is listed as one of the UNESCO Heritage Sites and is part of the 7 world wonders. 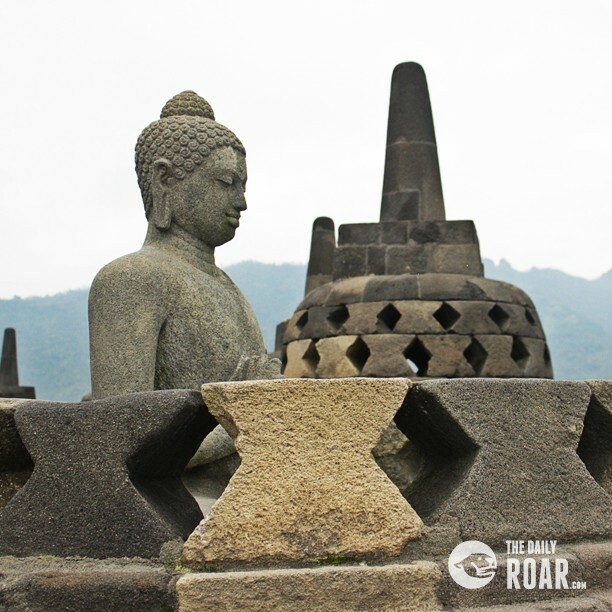 The atmosphere in Borobudur is also very peaceful. 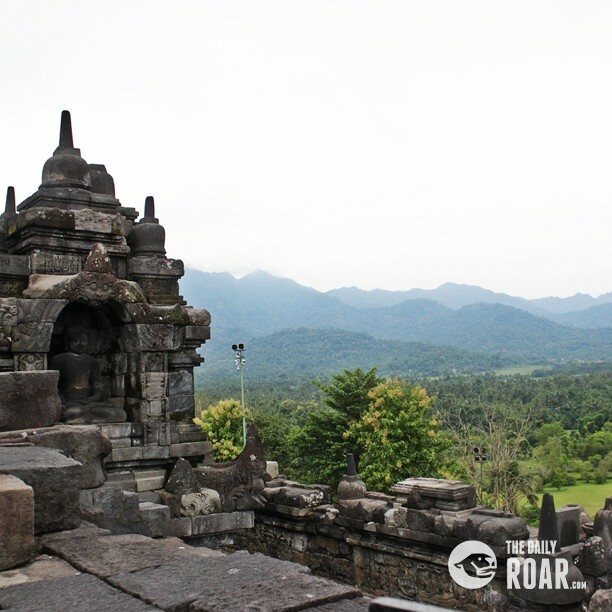 You can just sit there while enjoying the view of Jogjakarta and a Merapi (Volcano) mountain from far away, or you can take a look at the details from the beautiful reliefs in the walls of the temple. Which I believe contain a lot of interesting stories and knowledge. 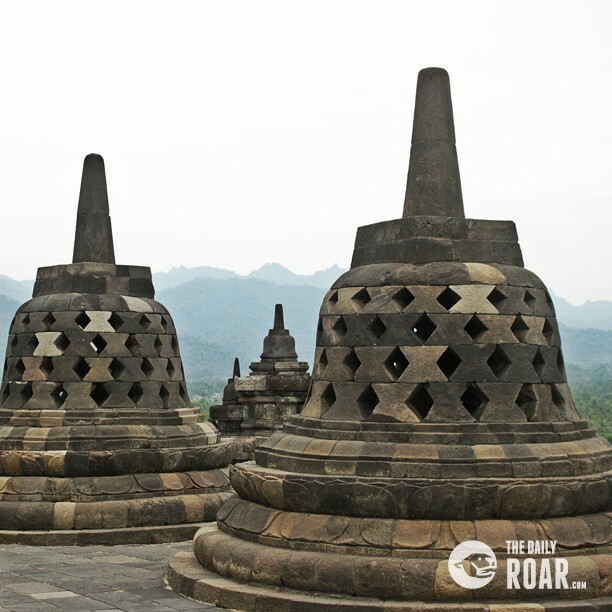 Borobudur has many stupas and Buddha statues seated that some already ruined but they are still very beautiful. Near at the edge of the temple there is a special stupa called Kunta Bima that is located inside of the stupa. People believe if they can touch the stupa their wish will be come true. 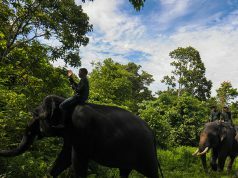 Why don’t you grab yourself a ticket to go there for celebrating the incoming Vesak Day? 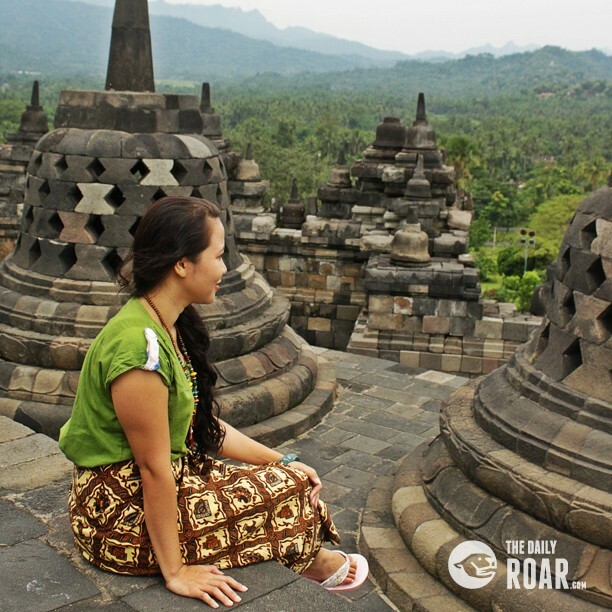 I’m sure Borobudur is a great place for spending your special days in Indonesia.